I don’t know about you, but I get such a kick out of seeing what you guys come up with each week. I try to imagine what kind of e-learning pro I’d be if I had a community of experts like you when I first started in this industry. No challenge this week. Instead, use the time to review the amazing demos you and your fellow community members shared over the past three months. You can also use the time to catch up on a challenge or two you missed. Challenges are always open—there's never a deadline to submit an idea. If you missed a challenge, just add your demo to the comments and we'll update the weekly recap and the quarterly recap to include your samples. The best way we know how to thank you for sharing is by promoting what you do. Got an idea for a challenge? I'm always taking ideas for future challenges. I think our editorial calendar is filled through June, but I can always move things around for the right challenge. If you have an idea for a challenge, I definitely want to hear it. You can find the first 12 challenges in this recap post and the next 13 challenges in this recap post. Gemma Henderson kicked of the week by sharing a spelling game called Spell Up. Gemma later shared a vocabulary quiz concept that will leave you spellbound. You’ll want to read all about this creative project. Nick Russell shared a really neat idea for moving from informal to formal writing. Nick later followed with another creative audio quiz that you’ll want to check out. Thanks for sharing both examples, Nick! Jackie Van Nice shared an inspirational example before diving into her own Spelling Bee interaction where learners practice essential vocabulary words in this cute twist on vocabulary quizzes. Read more about Jackie’s non-regulation spelling bee over at her blog. Dan Sweigert leveraged Storyline’s built-in quiz questions to create this interactive spelling quiz based on physics terminology. If you’ve ever struggled with words like “supergravity” or “quantum entanglement” you’ll want to read all about Dan’s creative audio quiz. Liz Braden shared a fun way to practice long-winded technical terms in this drag-and-drop audio quiz. This one’s tough, but it’s a practical model for learning compound words. Nicely done, Liz! Cary Glenn shared a “beary” fun way to learn the difference between two commonly misused words. Great example, Cary! Nicholas Sargent shared a creative audio quiz that provides options for clues. Use the clues wisely because they’ll cost you one point for each one you use! Nicholas later shared a time-based example that costs you a point every five seconds. Great examples, Nicholas! Dana Dutiel went retro with this classic children’s spelling game. You can check out Dana’s .story file in this community discussion. Dan Sweigert faced the music in this step graphic that walks learners through tuning a kalimba. Dan also posted adetailed overview of his project on his blog. Check it out! Gemma Henderson stepped up to share valuable steps for reacting to toad vs. dog interactions. You can read more about Gem's creative project on her blog. Great job, Gemma! 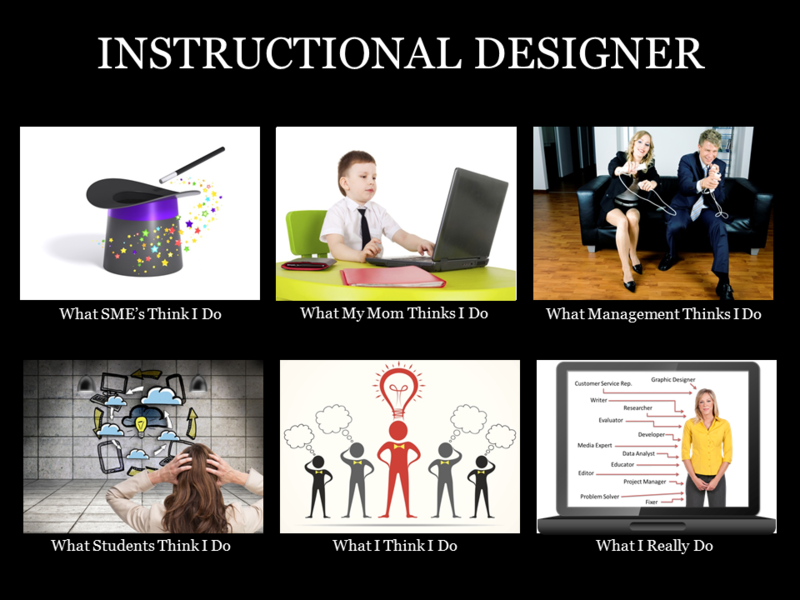 What’s In Your Course Design Toolkit? Matthew Mason kicked off the week with a big course featuring classic branding and ordered lists mistakes. Thanks for sharing, Matthew! Dan Sweigert overloaded us with information and on-screen mistakes in his storytelling example. Dan also shared some more info in his blog post. Nicely done, Dan! Matthew Guyan shared three all-too common mistakes in his “What NOT to do with e-learning courses” demo. Great examples, Matt! Jeff Kortenbosch shared a list of common mistakes that are easy to prevent and fix. Yours truly shared a bloated writing example common in many compliance courses. 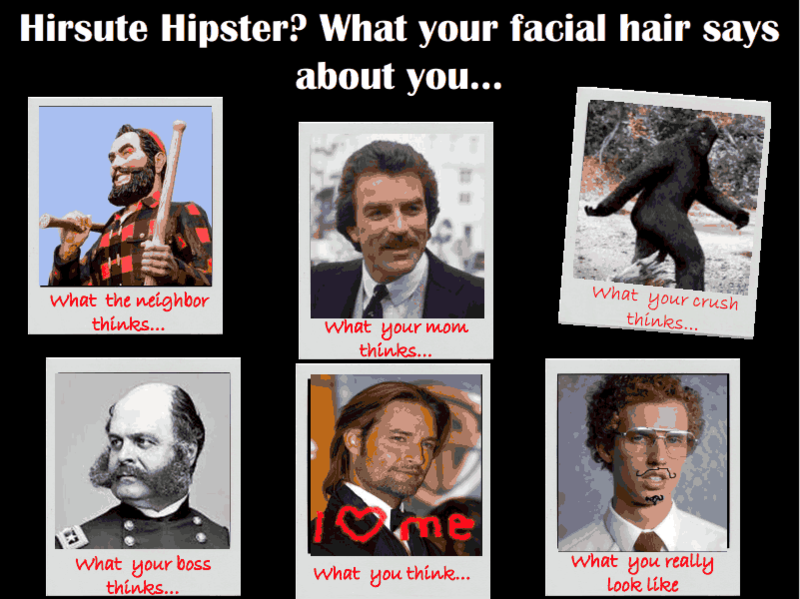 Nick Russell shared another hilarious example featuring patronizing activities and gratuitous background music. Classic! Montse Anderson shared an example of common alignment issues found in slide designs. Sophia Xu shared some classics compliance e-learning mistakes in her Dealing Fairly with Clients presentation. Sophia followed up with her makeover example. Bruce Graham shared cacophonous example featuring a kitchen sink of e-learning mistakes. 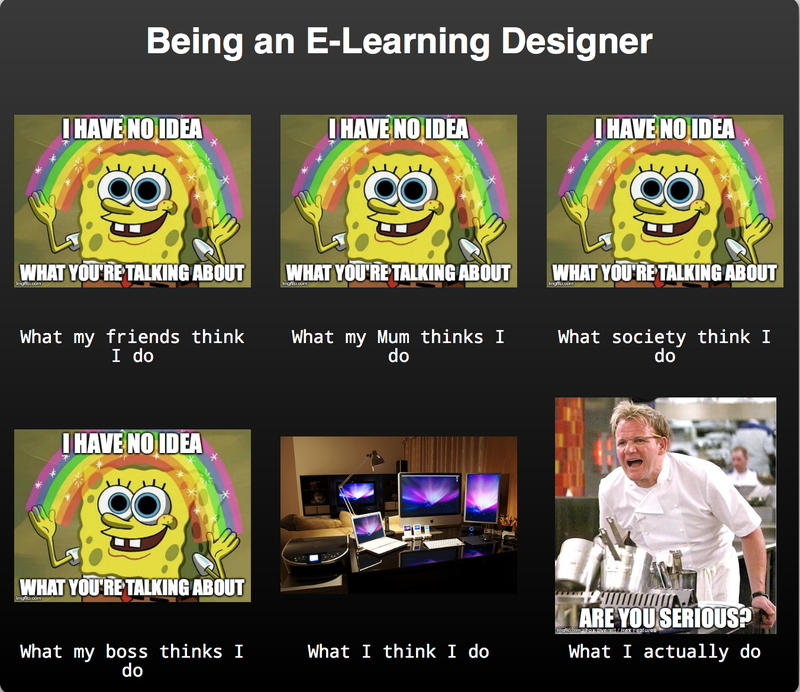 Want to be good at e-learning? Do the opposite of everything shown in his example. Bianca Woods broke nearly every rule in the book with this single-slide example of common e-learning mistakes. Lindsey Ball dug into the bag-of-mistakes to showcase classics such as: floating characters, exaggerated bullets, inescapable layers, and more. Well done, Lindsey! David Glow shared the best statistics question ever written on a chalkboard. Can you spot the mistake? Liz Braden shared more e-learning classic mistakes in her example that features: poor alignment, redundant navigation, irrelevant graphics, and so much more! Ashley Chiasson shared her favorite mistakes including: animation assault, inconsistent fonts, overlapping images, and a wide-range of colors. Mike Taylor shared an IT roadmap that is sure to have learners looking for the off ramp! Nancy Woinoski shared some doozies in this hodge podge of common e-learning mistakes. You can’t unsee this so proceed with caution! Dana Dutiel shared her list of glaring “what not to dos” in e-learning. You’ll want to check out what she put together! Patrick Gurczynski kicked off portfolio week with a sporty design featuring fast-paced animations and transitions. Lindsey Ball introduced herself to the community by sharing her interactive portfolio. Welcome again to E-Learning Heroes, Lindsey! Dan Sweigert soared through this week’s challenge to showcase his e-learning examples and expertise. Dan also produced the background audio used in his portfolio. Read more about Dan’s process and portfolio in this blog post. Dianne Hope shared her e-portfolio using a metro-themed design. You can read more about Dianne’s template on her blog. This one turned out really well, Dianne! Donna Carson jumped into her first challenge with a desktop-themed, click-and-explore interaction. This type of design always works well for interactive resumes because designers can easily add new portfolio projects to the existing design. Well done, Donna! Jackie Van Nice shared a theatrical resume inspired by classic movie posters and spy thrillers. You’ll definitely want to read all about this one and how it came together. 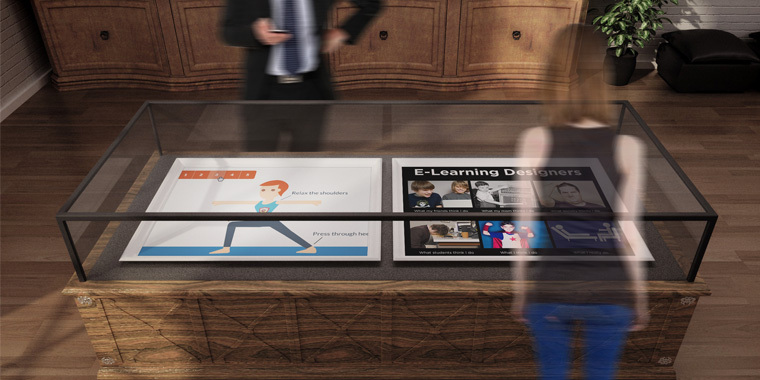 Zara Ogden shared her interactive resume featuring a creative layout combined with interactive objects showcasing her experience. Jerson Campos shared his interactive resume that features a timeline and interactive objects highlighting his e-learning experience. PS Wong jumped into the community to share this quick example she worked on in a recent workshop. Great start, PS! Looking forward to seeing you around the community. Allison Nederveld shared her visual resume featuring an elegant flat design to showcase her skills and experience. Allison generously shared a template version of her resume that you can download and use for your own projects.Learn more about the template and how to edit it for your own needs. Nancy Woinoski has a lot going on in her interactive portfolio. You’ll definitely want to see this project! Great job, Nancy! Laura Payette brings a lot to the table in this creative resume that features an interactive timeline, click-and-reveals, and more. Jeff Kortenbosch shared a creative concept using Articulate Replay combined with text captions. Nicholas Sargent shared his mobile-friendly portfolio that features video summaries and highlights of his e-learning skills and experience. Thanks for sharing, Nicholas! 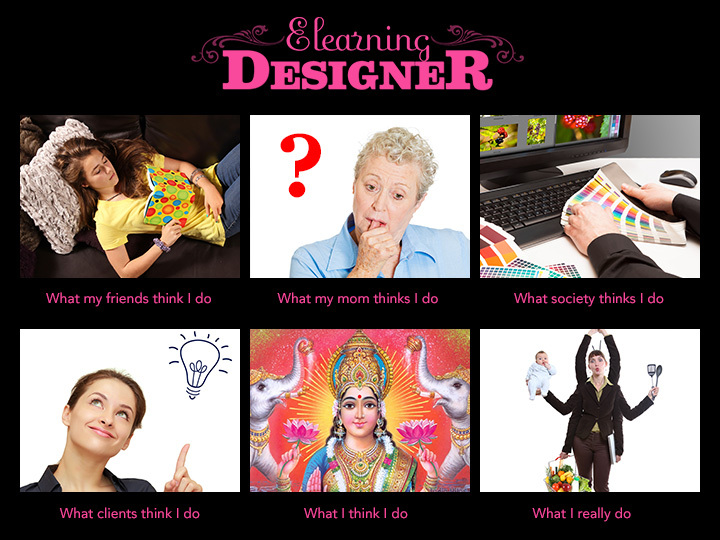 What Do E-Learning Designers Really Do? 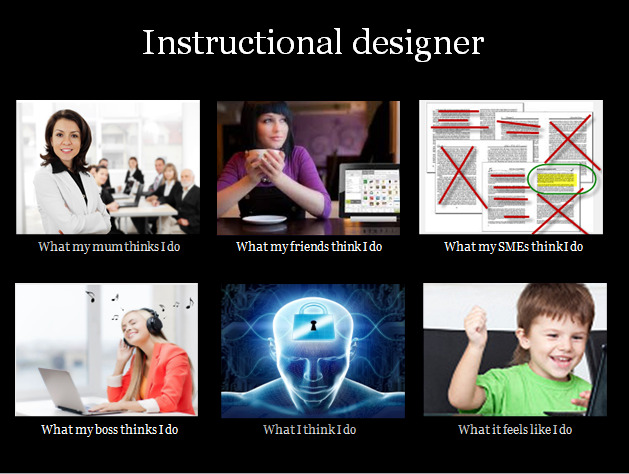 Rebecca Fleisch Cordeiro built a creative interaction to explain what she does as an instructional designer. Let’s all nudge Becky until she shares a tutorial explaining how she built the neat menu in her demo. Bruce Graham jumped into the challenge to explain what he really does with a video-based explainer. Spoiler alert:Story Lion makes an appearance. Nancy Woinski kicked off the challenge with an amazing summary slide featuring an embedded app to allow learners to comment on the course wall. Joshua Roberts leveraged some community resources to design a fun and personalized summary slide. Nice one, Joshua! Jeff Kortenbosch reminded us how great Engage ‘13 is for quickly pulling together a clean and concise resource slide. Thanks, Jeff! Charles Hamper took things in a retro direction with this fun summary slide featuring groovy tunes and options for reviewing course resources. 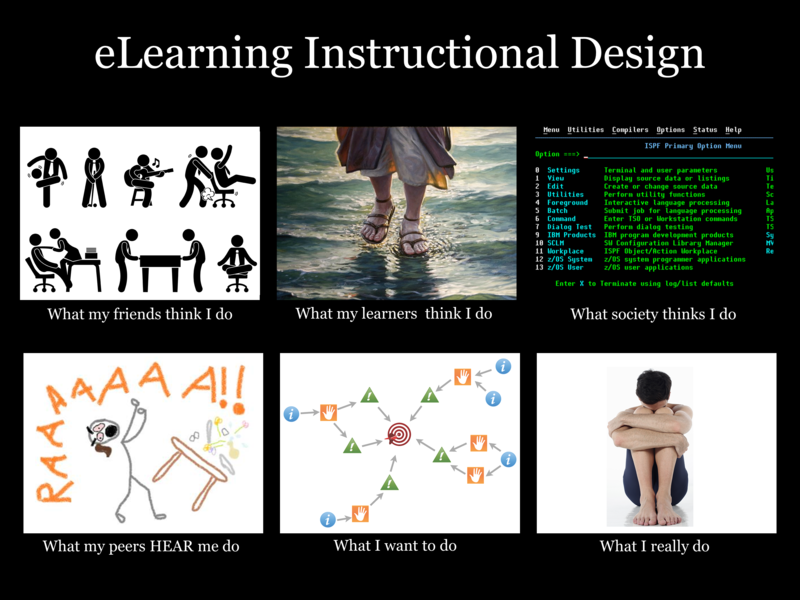 Dan Sweigert helped learners check out anytime they like with this colorful summary slide. Check out Dan’s blog post to learn more about the inspiration and development process behind his project. “Great job” Dan! Ruth McElhone drove a creative summary slide that includes resource reminders and an option to email course notes to a learning coach. Jackie Van Nice had some fun with her animal-themed conclusion slide featuring image-based rollovers for resources, feedback, summary, review, and exiting the course. Check out Jackie’s blog to learn more about this fun project. Ashley Chiasson introduced us (was I the only one?) to the Grumpy Cat meme in this simple yet funny conclusion slide. Melanie Dunmore shared a hand-drawn summary slide that features colorful illustrations and interactive markers for accessing course resources. 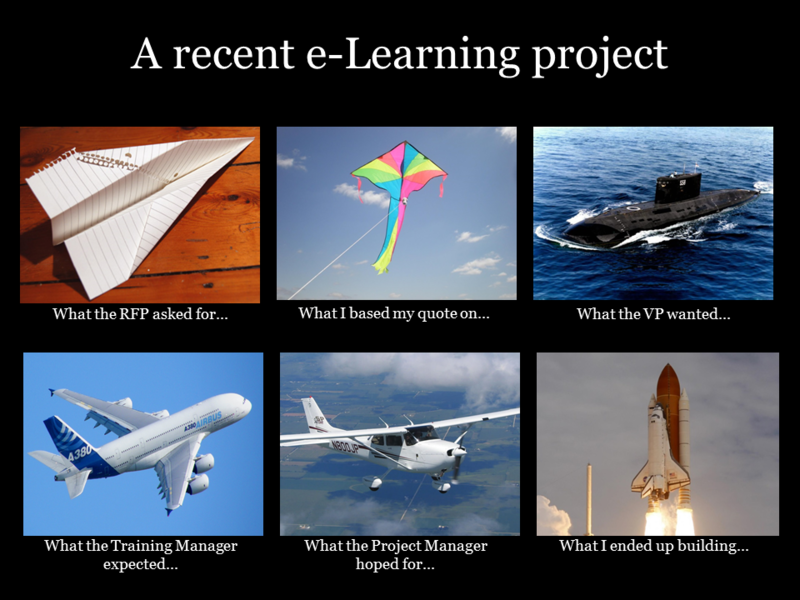 Matt Guyan proved course designers can have their e-learning and eat it too in this surprise-ending resource slide. Nice touch with the presents and candles, Matt! 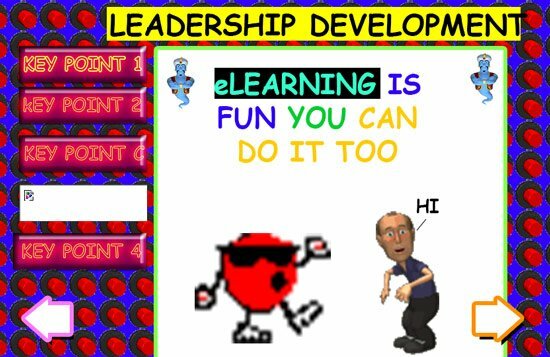 Allison Nederveld proved no e-learning mission is impossible with this game-themed course ending. You’ll want toread more about Allison’s project over at her blog. Nick Russell took a subtle and diplomatic approach to dealing with bullet points in e-learning in this e-learning noir summary slide. You can’t refuse checking out this demo. Paul Alders gave us a peek at an interactive training manual he’s working on with this summary slide. Nice use of Storyline’s scrollpane, Paul! 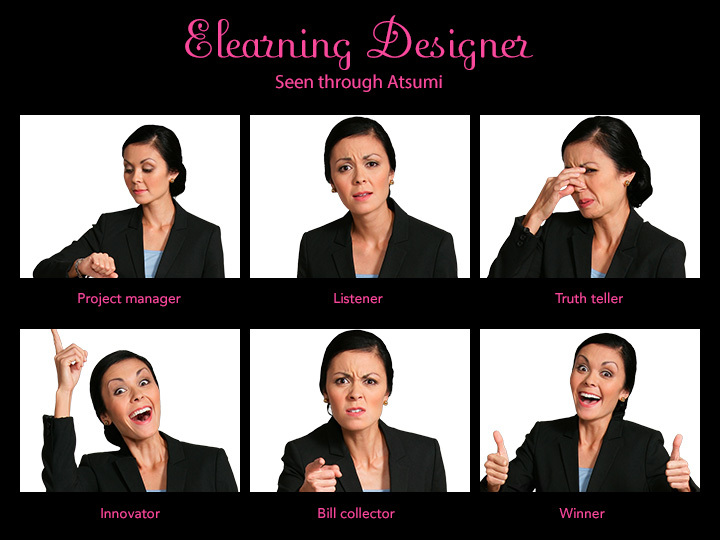 Mary Cropp shared a fun summary slide for an onboarding module. Subtle animations combined with sound effects make this a pleasing way to end a module. Thanks, Mary! Miranda Verswijvelen shared a character-inspired recap slide featuring an interactive slide summary. Great demo, Miranda! Yours truly shared some silly ideas for closing out a course. Honestly… you’re better off going with one or more ideas shared above! Heather Steckley kicked off the week’s challenge with an interactive approach to UI training that features lightbox videos and a quiz option to practice using the software. Ari Avivi shared a twist on UI training with an interactive street map. I like Ari’s example because it demonstrates the versatility of this simple technique. Ari also shared the project source files. Thanks, Ari! Jeff Kortenbosch shared a creative concept that lets the learners view or try the software. Download Jeff’s source files to learn more about his project. Thanks, Jeff! Michael Hinze soared through the challenge with an interactive dashbboard featuring interactive markers, map zoom, and scrollbars. If you’re like me, you’ll want to read more about this one. Nicely done, Michael. Jackie Van Nice wrapped a fun little story around her US Passport Application demo. Jackie always includes subtle extras in her demo so be sure your speakers are turned on. As always, Jackie shares even more details in her detailed blog posts. Well done, Jackie! Ashley Chiasson changes perspectives to provide restaurant reviews in her street-level example. Alex O’Byrne shared an animated idea for learning more about Moodle. Joshua Roberts helps learners get up to speed with Twitter while providing general facts and info for each area. Mary Cropp went for a drag-and-drop approach to clarify her intranet’s navigation tools. Simple demo with a lot of real possibilities. Great ideas, Mary! Charles Hamper guides learners through Paint.net in this elegant software demo. Dan Sweigert shared a practical example for explaining software controls and features using caption boxes and a practice opportunity. Check out Dan’s blog to learn more about his demo and how he put it together. Thanks, Dan! Paul Alders jumped into the challenge with a fun, story-based approach to learning Google Docs. Well done, Paul! Gina Orozco joined the challenge with a simple and practical approach to interactive screenshots. Using built-in shape tools, this is a good example of how one can rapidly build interactive screenshots. Thanks, Gina! Allison Nederveld moved beyond the defaults to create her zooming map that features a toggle option for learners to choose map and satellite views. Great example of using built-in features to achieve custom results. You can get the lagniappe on Allison’s interactive map from her blog post. Nick Russell put some extra effort (and humor) in his scenario-based approach to software training. You’ll find some fun ideas in this one. Emilie Elearning provided some good tips, practice opportunities, and resources on using Articulate Presenter ‘13 and Storyline’s player settings. Nancy Woinoski shared some more great ideas for technical document training featuring guided questions, annotations, and learner FAQs. Well done, Nancy! Sabrina DiCiano introduced us to getting started with Google Fonts. Nice job, Sabrina! Ian McConnell shared an interactive screenshot for a modern messaging app. You can read all about Ian's project over at his blog. Well done, Ian! My thoughts exactly, Nick! I always look forward to the humorous and insightful demos you share. I'm glad you're an active part of our community. Wow indeed, Nick! And you even made TWO great entries this week. Amazing! Here's a challenge idea, David: Course navigation introduction and/or aid. Ideally navigation should be a don't-make-me-think design that doesn't require an introduction or help, but clients (at least mine!) insist on having these. Would be great to see some creative approaches.